These PYREX® coarse porosity fritted thimbles are designed for use in PYREX® Soxhlet extractors when it is desirable to weigh the material extracted or where paper thimbles may be attacked by the chemicals used. 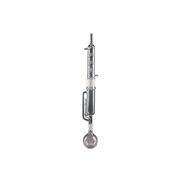 For PYREX® extractors and extraction apparatus, see Nos. 3740 through 3880. 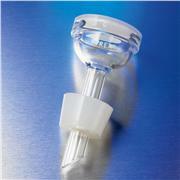 These graduated funnels,are designed for assembly with the fritted glass support base. Cat. No. 33972-B. 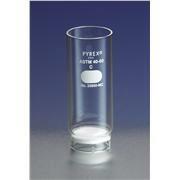 This 47 mm fritted glass support base is designed for assembly with either the 300 mL graduated glass funnel, Cat. No. 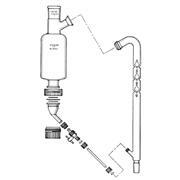 33971-300 or 1000 mL graduated glass funnel, Cat. No. 33971-1L. 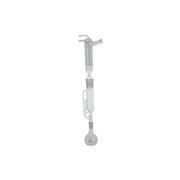 This PYREX® extractor body with a 45/50 Standard Taper outer top joint and a 24/40 Standard Taper inner bottom joint is a replacement for the One Piece Continuous Heavier than Water Liquid/Liquid Extractor System. 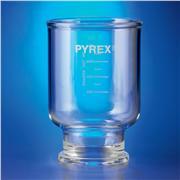 These PYREX® extra coarse porosity fritted thimbles are designed for use in PYREX® Soxhlet extractors when it is desirable to weigh the material extracted or where paper thimbles may be attacked by the chemicals used. 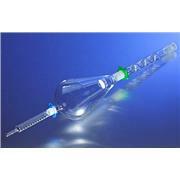 For PYREX® extractors and extraction apparatus, see Nos. 3740 through 3880. .